I see that hedgehogs are getting desperate for water. Is there a 'best' place to put water down for them? I have no idea which is the best place, but I have six containers of water scattered about my garden. Two shallow dinner plates which the birds drink from and bathe in. A large pyrex glass bowl, plastic bowls, and a tall pot which the cats seem to like because they don't have to bend down to drink. I have no idea either, June. Have read somewhere in the dim and distant past that chrome dishes are a no, no in hot weather for water but cannot remember the ins and outs. 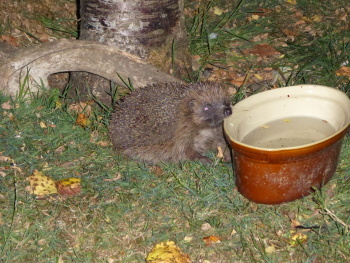 I have a couple of china bowls of water in shady spots for the chooks, in the evening I top them up for the hedgehog. They seem to like going along the edges/walls alot, so that might be a good spot. I'm still feeding ours too, I dont imagine there's much food around the garden for them. I went back & topped up the bowl for him & he was still there, I wouldnt be surprised if he jumps right in tonight! I don't get hedgehogs in the garden, but I do have a pond. 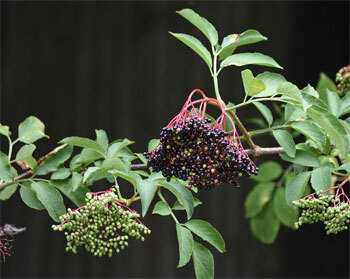 The birds love it and it is good to watch. Sadly the rats love it too 3 times lately I have seen one drinking from it. I've also noticed wasps coming to drink at the bowls! Oh well, all creatures great & small.